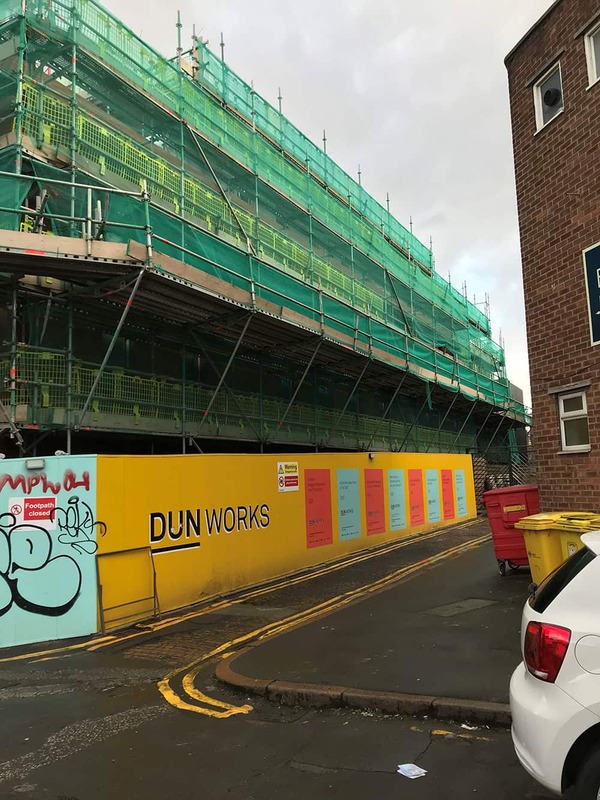 The Burflex team have been very busy for nearly a year now, with scaffolding in Sheffield going up at The Steelworks in Kelham Island to see the construction of 219 flats. Kelham Island is the city’s newest urban residential hub, with a wide variety of different heritage sites that really showcase Sheffield’s rich industrial history. The area is proving very attractive to young professionals and families alike, boasting its own museum, community groups, Christmas markets, a gym, brewery, Tesco and business and conference centre. Restaurants and bars are popping up all the time, including Urban ¼, Joro and Milestone. Transport links are also excellent, with a tram stop just two minutes’ walk away that can take people to the city centre, Meadowhall and beyond. This really is a very trendy part of Sheffield and is proving very attractive for renters looking for close links to the city centre but also a village-style community to enjoy. Demand for rental properties is strong in this part of the city, so ripe for investment. While it’s now trendy and up and coming, Kelham Island is actually one of the oldest manufacturing sites in Sheffield. The manmade island was constructed in the 1100s, when a stream had to be diverted to provide power for a nearby mill. You can still see the remains of the cutlery and steel works, as well as workshops and factories – which gives the area a completely unique look and feel. The Steelworks project began back in July last year, a deal between the South Yorkshire Housing Association (SYHA) and the Cheyne Social Property Impact Fund. It’s expected to be completed by December 2018. All properties will be available to rent through SYHA-owned estate agency Crucible Sales and Lettings, with one-third of the homes offered at sub-market rents. SYHA’s business development director Miranda Plowden said: “This is a really exciting development for us, one of the biggest deals we’ve ever done and marks a major move for us into the private rented sector, whilst still being able to offer quality homes at lower rents.